It’s that time of year again–the chill is in the open air letting you know winter has arrived! That means it’s time to seize the opportunity to get the most out of outdoor winter activities. It might be freezing outside but if you love spending time in the beautifully wintry natural setting with your friends and family, as we do, then you’re in the right place! I’m going to help you choose the right gear and equipment for outdoor shenanigans that will match not only your needs and style, but your budget. Here’s a compilation of the best deals from REI, a leader in award-winning outdoor gear. No winter outdoor activities discussion can start without the two most popular winter sports: skiing and snowboarding. As naturalist John Muir once said, “The mountains are calling and (you) must go”! Here’s your snow sports checklist to make sure you’re never unprepared for those glorious white hills! First off, a warm, high quality jacket is essential for protecting your body from the freezing temperatures. For our male friends, the Marmot Zeus Dablam down jacket should more than do the job. It comes in four colors colors and comes out to less than $150 with the REI coupon code for up to 50% off everything winter. 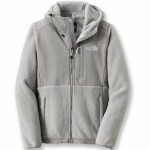 For the ladies, I chose the NorthFace Denali fleece jacket in white–-I love bright colors in the winter- and saved more than $50. Check out REI online and choose from a myriad of styles and colors for men’s, women’s and kids’ jackets and slash up to half off sticker prices. There’s no way to have fun in the outdoors unless your feet are warm and comfy in a good pair of winter boots. 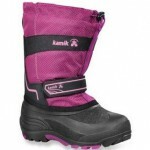 At REI.com you can browse a wide selection of premium quality winter and ski boots. For our stylish little girls I picked up the cute, warm and waterproof winter boot for just $41.93, and for our adventurous little boys, the Sorel Yoot Pac boots with savings over $20 with Couponology 30% off REI footwear coupon. 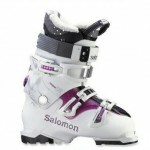 For the real passionate ski- lovers we picked the Salomon Quest Access X55 W ski boot for women–both adorable and absolutely stylish–at 33% off! 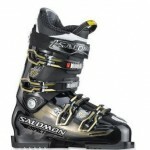 Finally, for our male athletes, the best choice is the sturdy pair of Salomon Impact 90 ski boots in black/nickel. 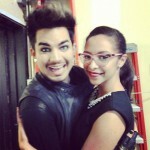 Almost-best part? They’re 46% off! I’ve set a starting point to get you ready for your outdoors activities but you have to experience the variety for yourself! 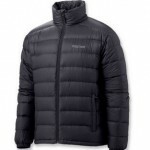 Head on to REI.com for winter gear now and year-round gear later–who knows how long these savings will last? Let’s face it, procrastination happens to the best of us. Christmas is getting closer and today’s the day thousands of online retailers give you that sympathetic “we know” nod by offering free shipping and guaranteed delivery by Christmas Eve. I compiled Free Shipping Monday’s best deals, good for one day only, ranging from apparel to sweets and electronics to take the edge off your holiday shopping experience. Torrid, a trendy women’s apparel and accessories hub for women who wear sizes 12 to 26 is offering 30% off all Torrid purchases with free shipping! The discount applies to full-priced items only, and is timed perfectly for Christmas delivery (if you’re shopping for a New Year’s outfit we take away your pro-procrastinator badge). Loehmann’s, a discount designer retailer is giving customers 40% off all Loehmann’s orders and free shipping on $100+ orders all day. Designer shoes, handbags and accessories never looked so good! For the shoe-lovers (a.k.a. all of us), check out the Steve Madden 25% off sitewide and free shipping with no minimum coupon. Don’t forget to check out Levi’s 30% off plus free shipping and The Children’s Place 30% off plus free shipping deals, and let the spree begin! To let us give the gift of skin and body care, one retailer came through with a 50% off all The Body Shop orders coupon code, good until 12/21, and free shipping for Free Shipping Monday only. Aside from the obvious, The Body Shop is the perfect place for hair care, makeup, and home fragrances in every form imaginable. For the timeless gift that’s sure to make an impression, take advantage of the 20% off My Jewelry Box orders plus free shipping coupon for the day. A wide range of styles, (and the Birthstone shop) make this a worthwhile place for every holiday shopper looking for a gift that will last a lifetime. Speaking of gifts, who hasn’t got a sweet tooth? For gourmet baskets and fruits, check out the Harry & David 20% off plus free shipping coupon on orders over $99 and give the gift of true satisfaction! Health and sports buffs, we didn’t forget about you! Check out GNC’s free shipping coupon and the 5 for $35 sale for your vitamin fix, or Sports Authority free shipping with no minimum deal. The techies in your life will thank you when they unwrap their tech toys. Check out steep discounts on headsets, IdeaPads, and more and take advantage of Lenovo’s free shipping until 12/31. Griffin Technology orders also ship free with no minimum, and are eligible for a 15% off Griffin Technology coupon until 12/31. Last but not least, the quintessential kids’ gifts with a unique twist ship free for the day from Magic Cabin. The cherry on top? Orders over $65 are eligible for a 15% off Magic Cabin promo code! We all know the only thing better than saving money on your online purchase is getting that purchase shipped free, so enjoy this marvelous day, fellow procrastinators, and Happy Holidays! Green isn’t usually the color I associate with Monday but this one’s somethin’ else! The second Monday in December is designated Green Monday, when thousands of merchants offer holiday shoppers their best year-end deals. The best part of Green Monday isn’t the free shipping or guaranteed delivery by Christmas (which many online retailers offer), but the steep discounts comparable to those during Black Friday & Cyber Monday. I know I don’t have to tell you about the mood-boosting effects of shopping (or the mood-killer that is Monday) as I’m sure you know it all too well, so I’ll dive right into our deals. 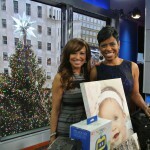 Our very own Krystal Cordova shared Couponology-exclusive deals from Griffin Technology, Wishing Tree Designs, Fans with Pride and Fannie May on today’s NBC New York Live show with Sara Gore and Jacque Reid. First on the list to put more green in your pocket is the Griffin Technology 20% off coupon code. Krystal showed off the Woogie 2, a super-fun and fuzzy app-powered case that interacts with you, and the Helo TC Assault chopper that lets you control a helicopter with your smartphone. These tech toys are the go-to holiday gifts for any age group, so you can finally be the giver of those coveted favorite presents! Next Krystal presented a 30% off Wishing Tree Designs coupon code for personalized gifts such as canvas prints, cards and stationery, among others. The only thing limiting the possibilities at Wishing Tree is your imagination! To top off the deal, Wishing Tree is offering free shipping on all orders! On to the sports fanatics on your gift list–the 20% off Fans with Pride coupon code. 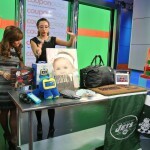 On display were a leather Giants bag, Jets stocking and banner, a scoreboard alarm clock and a Giants doormat. Fans with Pride has tons of merchandise to show support for your favorite teams–we’ll leave the team preference up to you. In keeping with the saving-greens spirit, orders over $20 are eligible for free shipping! Last but not least is a deal for those friends & relatives with a sweet tooth (Krystal is ours! )–a 30% off Fannie May coupon code. Fannie May has the finest gourmet chocolates, candies and sweets complete with gift-ready packaging. This Monday, unleash the savings and beat the Monday blues with our exclusive deals, and catch the NBC segment here if you missed it. Happy shopping Couponers! 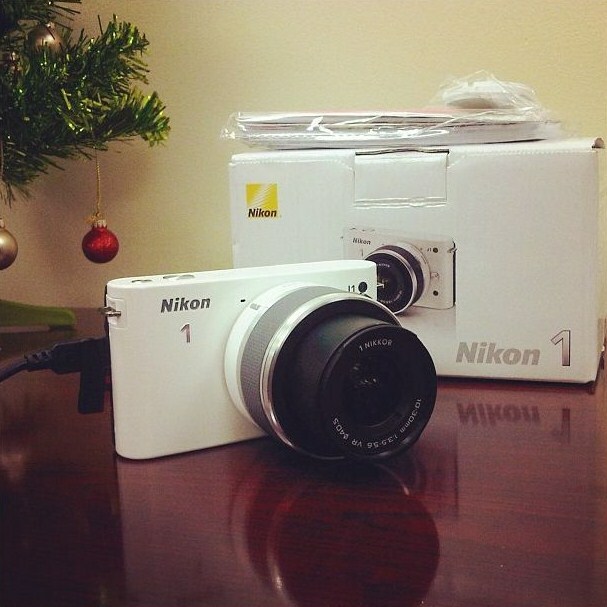 Get Creative with Couponology and Win a Nikon! That’s it! You can gain an extra entry via Instagram, just repost our IG photo and tell your friends to enter! Best of luck and happy holidays Couponers!